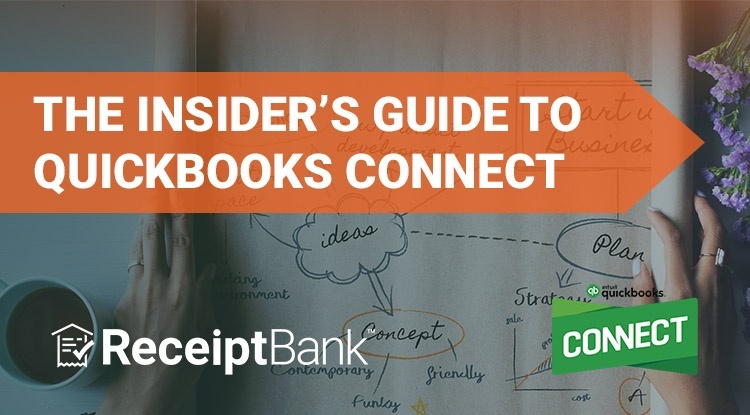 QuickBooks Connect is one of the biggest events in the accounting calendar. To make sure you get the most out of it including Firm of the Future winner Lielette Calleja of All that Counts, Sam Rotberg, CPA of AS Partners, Tim Hoopmann of Spin Business Solutions and Intuit’s Alex Medina. And if you’re flying solo, what’s the best way to connect with fellow ProAdvisors? The resounding response was to not be shy, say hello to your neighbour, swap business cards, follow them on social networks. This matches up neatly with Sam Rotberg’s first experience of Quickbooks Connect in San Jose in 2015. “I went there not knowing anyone, I think the most important thing to realise is that we're all in the same boat,” he explained. For Alex Medina of Intuit, she has a few QuickBooks Connects under her belt, and while Tyra Banks stands out from last year, she’s looking forward to hearing from Intuit’s founder Scott Cook. Plus, he’s interviewing Melanie Perkins, the founder of Canva. In case you don’t know Canva, it's a company that has achieved, in a short period of time, over 10 million users, and the customer experience is absolutely brilliant. I definitely want to be there and listen to that conversation and get tips from her, (and Scott of course), about how she managed such rapid adoption of Canva globally. That's one in my list, absolutely. Sam’s celebrity speaker highlight of the 2015 San José conference was the one and only Oprah Winfrey. Lielette likes to factor in a few quiet time opportunities for down time throughout the program. Alex focuses on dressing for success. And by success she means (professional) comfort. So make sure you’re shoes are set for the long haul, dress in layers, and remember to stay hydrated and fuelled to last the entire ride that is Quickbooks Connect. Tim’s parting words of wisdom, reminded people that it’s a marathon, not a sprint. With plenty of side activities it’s easy to burn out early. So plan your day, know your sessions and which speakers you want to speak to – yes they are very approachable – and like Alex, hydrate (maybe some Berocca) to keep you healthy and alert. Quickbooks Connect in Sydney promises be an event not to be missed. Speaking of events not to be missed, make sure to come and see us at P1 to get signed up for our events happening alongside the conference. Also, if you're not yet a Receipt Bank Partner, pre-book a demo to see the software in action here. Not attending Quickbooks Connect? Be sure to follow the Twitter hashtag #QBConnect, plus the live stream, and don’t be shy about coming out to a Receipt Bank hosted party if you’re in or around Sydney.